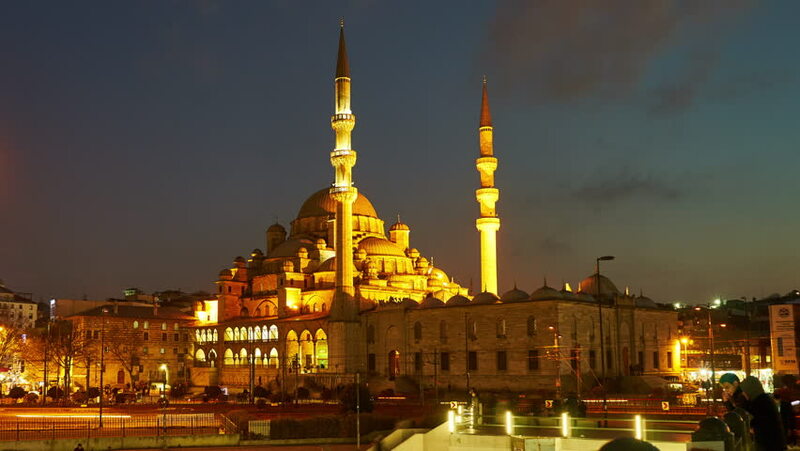 ISTANBUL, TURKEY - FEBRUARY 21: Time-lapse view of Yeni Cami in the sunset on February 21, 2016 in Istanbul, Turkey. 4k00:15ISTANBUL, TURKEY - FEBRUARY 21, 2016: Time-lapse view of Yeni Cami at night on February 21, 2016 in Istanbul, Turkey. 4k00:15ISTANBUL, TURKEY - FEBRUARY 21: Time-lapse view of Yeni Cami in the sunset on February 21, 2016 in Istanbul, Turkey.